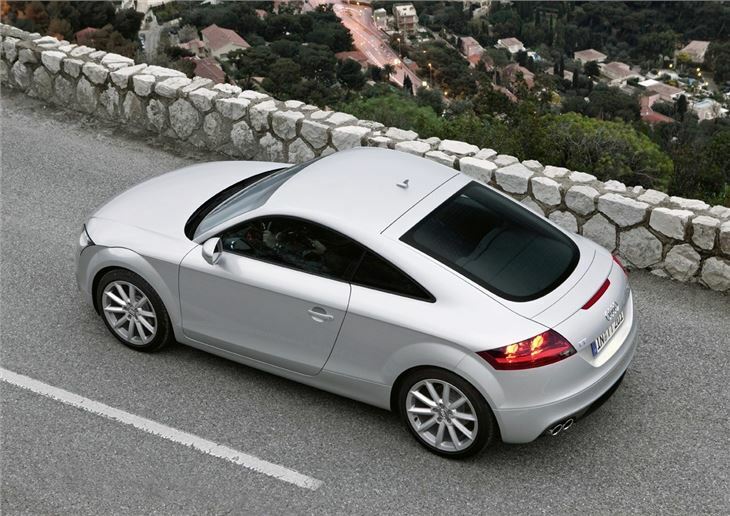 It's not an easy task, improving an already great car, but Audi seems to manage it time and again. And that's exactly the case with the revised TT - in particular the popular 2.0 TFSI version. It appears the best just got even better. 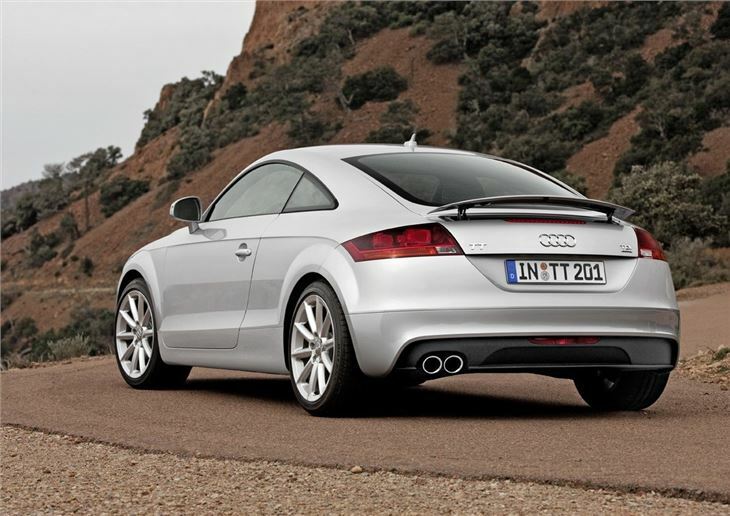 It's now powered by a fresh 2.0-litre turbocharged engine, the same one that's used in the latest Volkswagen Golf GTI, so the TT is certainly in good company. Power increases slightly from 200bhp to 211bhp which helps bring the 0-62mph down by half a second. But this is mainly due to the impressive improvement in pulling power which is boosted with an extra 70Nm of torque. Out on the road you'd be hard pressed to notice the extra power unless you drove the previous version before jumping into the improved model, but it does feel more sprightly low down. The engine doesn't need to be worked quite as hard in order to tap into the power, but still delivers that superbly rewarding exhaust note. But where you will notice the difference is at the pumps. Despite the extra power, this newer TFSI engine is actually more economical and is capable of an average 42.8mpg compared to 36.7mpg before. Emissions have also dropped considerably, meaning cheaper road tax. 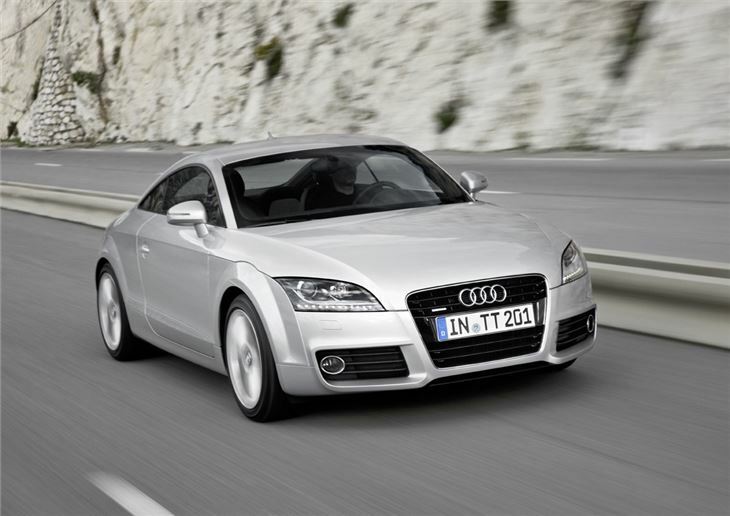 Although if it's outright economy you're after, the TT TDI is the model to go for - it can return a mightily impressive 53.3mpg. The standard two-wheel drive version we tested has no problems transferring all that power to the tarmac and it always feels composed and planted to the road. It can occasionally struggle for grip in the wet, for instancing when pulling out of a junction, but on the open road it's reassuring and hugely enjoyable to drive. A four-wheel drive quattro version is available for an extra £3,000 and it does add an extra element in terms of confidence behind the wheel, but the standard two-wheel drive model is more than good enough. The six-speed manual gearbox has a wonderfully positive shift while the small but chunky steering wheel adds to the sports feeling in the cabin. 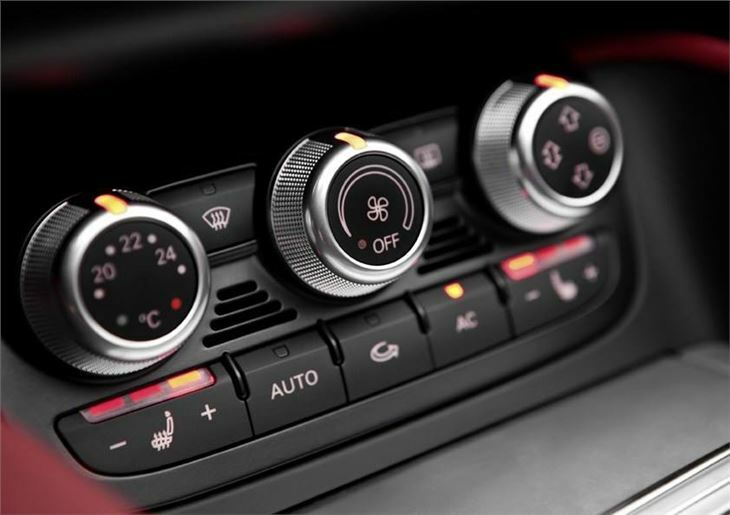 One neat optional extra is the 'Sport' button by the gear lever which allows you to alter the responsiveness of the accelerator pedal, the weight of the steering and even makes the exhaust note better. From the outside the changes are best described as 'subtle'. There's a slightly tweaked front bumper with deeper air intakes while at the back a new diffuser has been incorporated into the rear bumper. The sporty S line versions get LED daytime running lights first seen on the R8, while there are new alloy wheel designs available too. So can you improve on perfection? 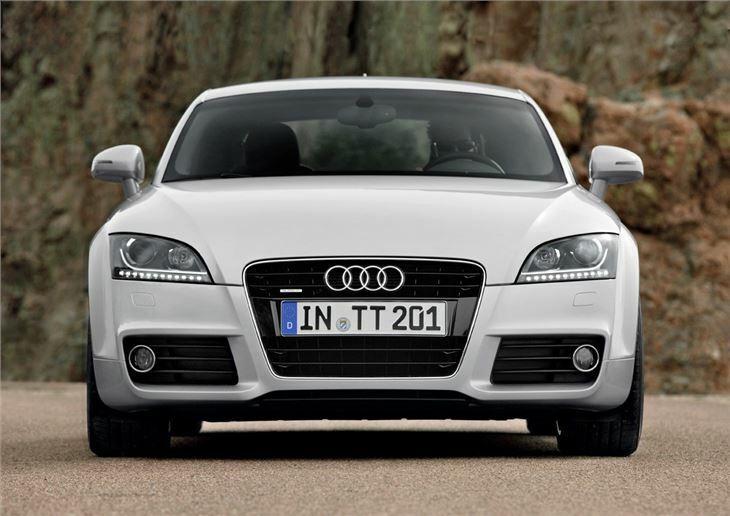 It seems Audi has come pretty close to achieving it with the latest TT. It's still as great to drive as before, while the new engine's improvements in economy and CO2 are what really stand out. 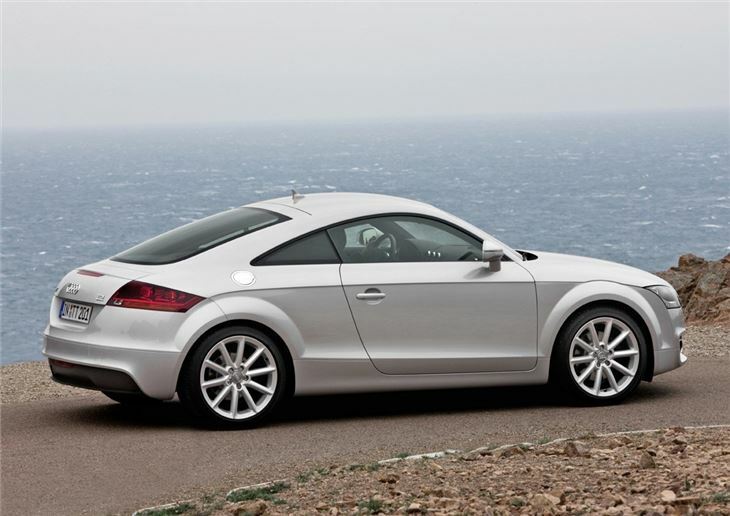 While the TTS and TT RS are hugely entertaining, we think this is the star of the TT range and the best value version too. 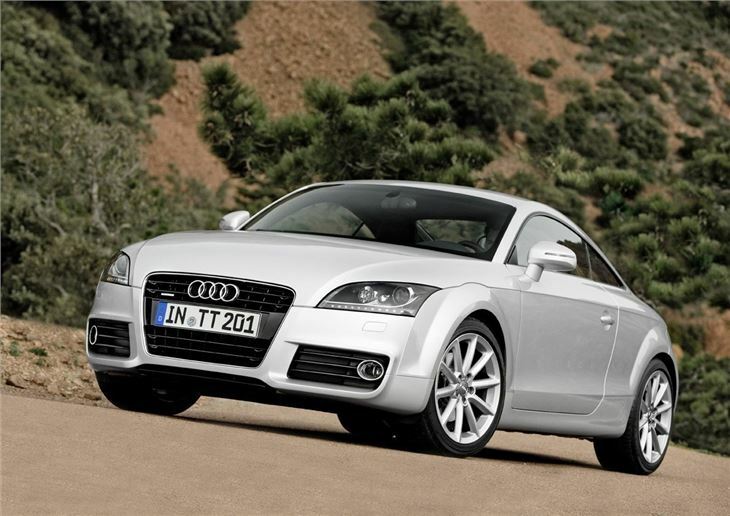 For the in-depth Audi TT Coupe review, click here.